After eight months, 263 events, 17 broken clocks, and thousands of competitors, Ideal Industries’ 2018 National Championship Qualifying Round in Canada came to an end last October, and the Third Annual Ideal National Skills Competition took place December 1-3 in Orlando, Florida. The competition brought together some of the best electricians from across North America. This marked the first Ideal National Championship that had been extended to Canadian competitors. In all, nearly 40,000 electricians across North America took part in local timed competitions organized by Ideal Industries. From these 40,000, a professional representative and apprentice were selected from each state, as well as from both Western and Eastern Canada based on their times. A team comprising one professional and one apprentice were also selected from each area. During the competition Mateo Berrio couldn’t help but feel nervous working in front of a big crowd, not to mention the TV camera crews circling the electricians as they worked. He is a fourth year apprentice, studying at the Northern Alberta Institute of Technology (NAIT). Mateo arrived in Canada from Colombia at the age of 10 with his mother. He had no plan for a career in trade until he entered a registered apprentice program at high school and got then what he describes as the amazing opportunity to become an electrician. The competition proved to be more difficult than he expected. “No matter how good you think you are there is always room to grow. It makes me feel good that they are better people than me because they can teach me how to progress.” As our conversation wound up, I reminded him that he had finished first in his category for Canada West. After the competition, Mateo continued his training and joined his mentor at Optics lighting in Edmonton. 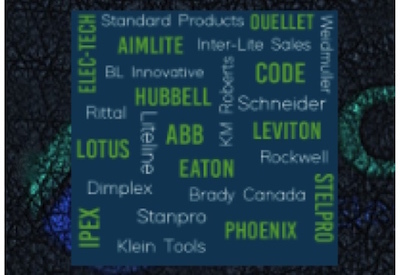 Learn more about Ideal Industries’ 2018 National Championship: www.electricalindustry.ca/changing-scenes/4091-ideal-industries-inc-national-championship-kicks-off-in-canada-and-the-u-s, and follow coverage of the 2019 championship in EIN.